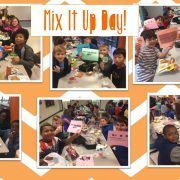 Mix It Up Day at DJM! 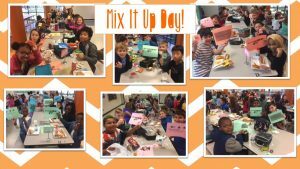 Students at DJ Montague participated in Mix It Up Day at lunch on October 31st! This is a national event that encourages students to make new friends at lunch, sit with someone new and different. Students get the opportunity to meet new people, celebrate differences, and enjoy a conversation and meal with someone new. Look at all the smiling faces as we made new friends!! 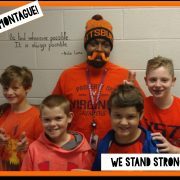 https://wjccschools.org/djm/wp-content/uploads/sites/15/2018/10/Website-Post-e1541011874698.jpg 183 325 Amy Mabe https://wjccschools.org/djm/wp-content/uploads/sites/15/2014/05/logo.png Amy Mabe2018-10-31 14:52:112018-10-31 14:52:17Mix It Up Day at DJM! 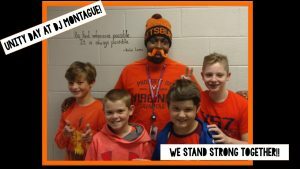 https://wjccschools.org/djm/wp-content/uploads/sites/15/2018/10/Unity-Day-e1540383384110.jpg 211 375 Amy Mabe https://wjccschools.org/djm/wp-content/uploads/sites/15/2014/05/logo.png Amy Mabe2018-10-24 08:16:572018-10-24 08:16:57Unity Day! We hope you can make it this weekend to the Occasion for the Arts in Colonial Williamsburg. 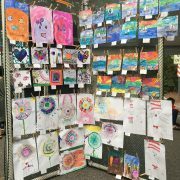 DJ student’s artwork will be on display Saturday, Oct. 6th and Sunday, Oct. 7th from 10-5 in the Student Tent. A big “THANK YOU” to Mrs. 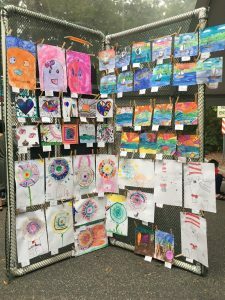 Forget for all her hard work and to the students for their beautiful artwork. Please click here to view the newest Nutrition Guidelines when planning on snacks and celebration items. It is hard to believe, but we are almost halfway through the first marking period. The school year is off to a great start! A couple of security updates. We have a new check in system that requires visitors to scan their driver’s license. We will keep you informed as to when it will be activated. When this occurs, be sure to have your license in your possession when you come in to the office. If you have visited D.J. in the last several weeks, you noticed the installation of two additional doors at the entrance to the school. These doors prevent access to the hallways without first checking in at the office. Once you have checked in at the office, you will exit to the right. While this will result in a few extra steps to get to the cafeteria, it will prevent visitors coming in to the building from going through the glass doors without checking in at the office. Your compliance with these guidelines will help keep all students and staff healthy! Our Fall Celebrations will take place on Wednesday, October 31st. Due to the increasing number of students with food allergies, we ask that no home baked goods or items prepared at home be brought to school. Items should be store bought and have an ingredient list on the package. Our school nurse will review the ingredient list to ensure that the treats are safe for all students in the class to enjoy. Additionally, all foods must meet the nutrition guidelines of the Wellness Policy. These guidelines are available on the D.J. homepage. If you will be providing food items, healthy options such as fruits and vegetables are good options. If you plan on bringing fruits and vegetables, we ask that the items be brought to school and the trays prepared at school. A “kitchen” will be set up in the conference room for this purpose. Thank you for your help in making this a safe, special day for our students. the entrance to the school will be closed at 1:45 PM. If you are planning on attending, make arrangements to arrive before this time, otherwise you will need to park on Centerville Road. Additionally, due to limited space and preparation time, we ask that our families please not enter the hallways or classrooms prior to the parade. After the parade, each class will move to a specific location for pictures. After this photo opportunity, students will return to the classrooms. For those of you who will be taking your children home after the parade, classroom teachers will have a sign out sheet in the classrooms. PLEASE do not take your child from the parade site. You will receive more specific details about this event from your child’s teacher. As always, thank you for your continued support. Please don’t hesitate to contact me at catherine.vazquez@wjccschools.org or 258 – 3022 with any questions, comments or suggestions.